Four-bar linkage mechanisms have dragged the attention of many specialists due to its importance in the academic and industrial sectors. Hence, a lot of research work has been conducted to understand their complex behavior and explore various control techniques. In fact, such mechanisms possess highly nonlinear dynamics that require advanced nonlinear control methods. In addition, the four-bar linkage mechanism is exposed to significant dynamic fluctuations at high speeds due to the system inertias. 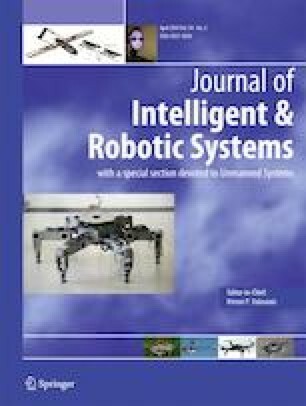 In this paper, a backstepping control algorithm with a robust scheme is designed and applied on the four-bar linkage mechanism to investigate and explore its dynamical performance under various operating conditions and without a priori knowledge of the model parameters. Five operating conditions are introduced and tested in numerical simulations to show that the proposed nonlinear controller successfully regulates and tracks the speed of the driving link of the mechanism and shows a satisfactory performance. Work of E. Tatlicioglu is partially supported by The Scientific and Technological Research Council of Turkey via grant number 116M272.